"Gyan Kosh", which means storehouse of knowledge, is a platform for co-creating, collating and co-sharing of all the knowledge related to education with a focus on the teaching and learning content. We at ~Pankhudi Foundation recognise that while a large number of institutions are engaged in developing the education related content across and outside the country, there does not exist one single platform where one can find this vast amount of knowledge. With this in mind, ~Pankhudi envisages fostering ties with a number of organisations that are already involved in creating the education related content material. In this way, it aims to bring together people for the development of Gyan Kosh for co-sharing of the material as well as the practices. 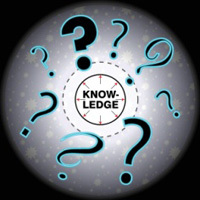 The knowledge bank on the Gyan Kosh will consist of the both "what to teach/learn" and "how to teach/learn". There will be an equal focus on the methods of evaluation of learning outcomes, as the right evaluation leads to the right progress. All this will prove valuable if the users (i.e. teachers and students) not only make use of the available knowledge on Gyan Kosh, but also provide their feedback to make continuous improvement. In this way, Gyan Kosh will continuously evolve. An important feature of Gyankosh is the Teachers forum, where teachers can interact with each other to discuss their problems and share their best practises on a regular basis. Gyan Kosh has been developed on Drupal, an open source Content Management System. With its focus on education of children, ~Pankhudi is looking at first developing the repository of knowledge related to School Education that will include content on life skills.